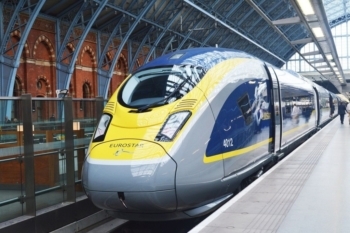 Le Club AccorHotels has announced a new partnership with Club Eurostar. I was a little surprised to see this but I shouldn’t have been. As the biggest hotel group in France and with a big UK presence, Accor was a natural fit. Club Eurostar has also been keen to add new partnerships since the scheme was relaunched last year. You can now move Accor points to Club Eurostar, and Club Eurostar points to Accor. Full details are on the Accor website here. Accor is the only airline or hotel group which is really pushing the concept of two-way transfer partnerships. You have been able to transfer Finnair points to and from Accor for a while, and Qatar Airways was added last year. In a roundabout way, it is a way of converting Finnair or Qatar Airways miles into Avios or many other airlines, using Le Club AccorHotels as an intermediary. You lose a lot of value doing this though. The snag with these deals is that they are not hugely generous. Le Club AccorHotels is a revenue based loyalty scheme, with 1 Accor point worth 2 Eurocents off a hotel room. There is no redemption chart – the number of points needed for a free night is based on the cash cost of the room you want. Because it is revenue based, it is hard for the scheme to be too generous on transfers because it needs to make a profit both on transfers in and transfers out. Point transfers do NOT count towards status in either scheme. On this basis, let’s assume a value of 10p per Club Eurostar point. That said, as the comments below point out, if you’re planning a Friday to Sunday weekend break you will pay a lot more and – assuming you need to trigger ‘any train availability’ – you will get closer to 15p. This is clearly a bad trade however you do it. Of course, life isn’t always that simple. Perhaps you have a handful of Club Eurostar points you won’t use and will expire (although you can use them to part-pay a cash ticket), in which case 1,500 Accor points is better than nothing. If you have 4,000 Accor points sitting around you can convert to 4,000 Avios in Iberia Plus or 2,000 – 4,000 other airline miles, although €80 off a hotel room seems better to me. At the end of the day, it is always good to have more redemption options. This one involves a noticeable loss of value in my book, but you may have a different view than me on what your Eurostar and Accor points are worth. It is also worth noting that, when Qatar Airways devalued Qmiles without notice earlier this year, the option to cash out to Accor suddenly became excellent value. Many people who were left with too few Qmiles for a redemption were suddenly happy to spend them via the Accor route. You can find out more about this new partnership on the Le Club AccorHotels website here. I feel your valuation of Club Eurostar points is very much on the low side, probably off by x1.25/1.5 for typical weekend return fares. If you want to go to the south of France, rather than just Paris/Brussels/Lille, you can do a lot better with Club Eurostar! Ski train tickets are still available on points for almost all non-halfterm weekends, looking at about £150 for a one way cash ticket to Bourg, or 500 points. That’s 30p/point rather than your pessimistic 10p/point. Nobody wants to travel in Standard though… That’s my struggle with Club Eurostar – the extra cost of Standard Premier is usually only £10-£15 more than Standard each way for me, whereas the points cost is double. Always feels like I’m getting a bad deal, if I do anything other than a cash Standard Premier ticket. As a discerning larger gentleman, I find standard relatively comfortable in a two with my wife. Lounge access already with Plat. The tepid food in SP and slightly larger seat with more space isn’t worth it if travelling with someone. By myself for work, however, SP / BP. Really? SP is usually 1.5-2.5x the price of Standard whenever I’ve booked, which is why I’ve never travelled in SP. If it was £10 more I’d grab it too. O/T. Anyone else having a problem paying the Amex Platinum. With a curve card now ? Have Curve linked to my IHG Premium card. Amex just blocks the transaction according to Curve. Mine only worked once and since then has been refused for Amex and Mastercard. I don’t think you’re really supposed to do it! The Curve Card is not designed to be used like this (as we all know). Infact you are just transferring debt from one provider to another, to gain points of course. It’s more than a bit risky now after the updates from Curve as your payments to credit cards could now be passed to your linked Curve credit card as a cash advance instead of a purchase, attracting fees and possible impacts on your credit file. IMO it’s not worth the risk. As a trial I have just successfully paid my Platinum bill with Curve/IHG Black. It was only £30.12 as that was the total owed, but is clearly not completely blocked. It is pretty stupid to advertise it on a public forum with a known Curve lurker though don’t you all agree? Curve Founder & CEO Shachar Bialick reads HfP, seems to have benignly allowed some abuse of ATMs and payments to financial institutions but is now reining it in.